BREAKING NEWS: BourbonBlog.com ‘s Tom Fischer spoke today with Rob Samuels, Chief Operating Officer of Makers Mark Bourbon Distillery, by phone as Samuels confirms that Maker’s Mark is reducing the ABV of their Bourbon by 3% effective immediately from 45% ABV (90 proof) to 42% ABV (84 proof). The reduction of proof will be permanent for this global brand and will help Maker’s Mark to put their popular Bourbon in the hands of consumers who are having difficulty finding Maker’s on the shelves. BourbonBlog.com is the first media outlet to report this story and publish an interview with Rob Samuels. Twitter activity on @BourbonBlog and emails to our inbox have been full of questions. We want to help answer those with our interview with Rob and story below AND we’re asking for your comments and feedback to the news on this link! “For the last 25 years, Maker’s Mark has grown at a rate of between 8 to 9% a year,” Samuels tells BourbonBlog.com. 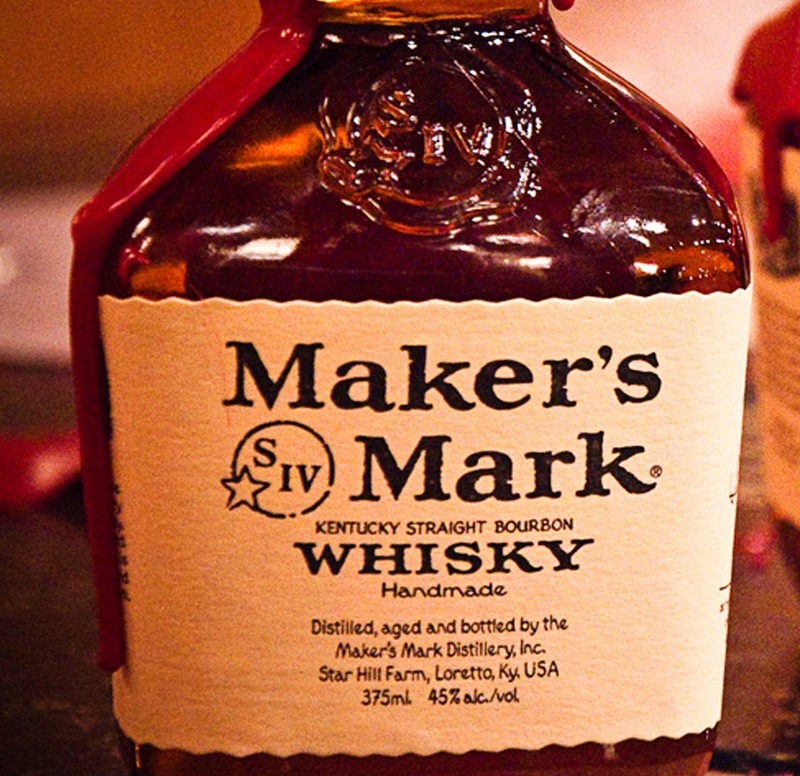 While Maker’s is happy to have created such a popular Bourbon, Maker’s is a product that takes around 6-8 years to age. With aged product in massive demand coming from a single source supply in Loretto, Kentucky, there are challenges filling demands. “We’ve been adding on new aging warehouses and we’re looking at building a new third distillery in Loretto sometime soon to keep up with demand.” says Samuels. “We’ve confirmed the taste of the 84 proof Maker’s is exactly the same as what consumers taste in the 90 proof by our tasting panel,” explains Samuels. This tasting panel consists of full time Maker’s Mark employees. Maker’s Mark reached out to their Maker’s Mark Ambassadors by email today to let them know first about this change (see full email test below). 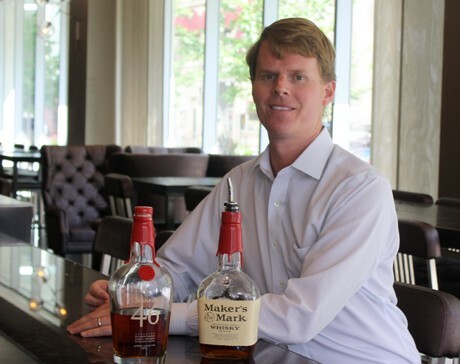 For loyal fans of Maker’s Mark Bourbon that are questioning how this change will be noticed by their own tastebuds, Samuels says he is confident that when fans taste Maker’s Mark for themselves that their reviews will be the same as they have always been. “My grandparents decided to bring Bourbon and good taste together for the first time in 1953,” Samuels says. 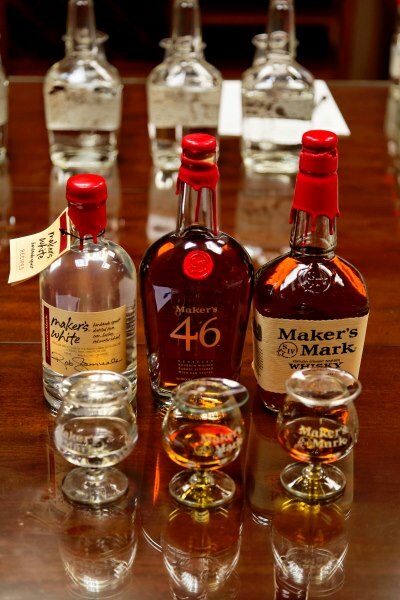 So how much will the proof reduction help Maker’s Mark bring Bourbon to thirsty fans? “Not a huge amount with the growth of the brand. However, this will help us extend the supplies. 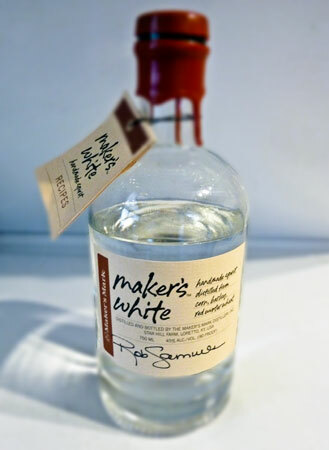 The change will help us get Maker’s on the shelves,” Samuels tells us. You may see the Maker’s Mark Bourbon bottled at the new 42% ABV on shelves within the next few weeks. Maker’s Mark 46’s at 94 proof, only available in the U.S. and some Canadian markets, will stay the same the same proof says Samuels. While there once were Maker’s Mark Japanese and international only exports of varying proofs, the only other product that Maker’s Mark Distillers currently produces is the Maker’s White, the un-aged distillate of Maker’s Mark available only at the Maker’s Mark Distillery gift shop. For the latest breaking news, reviews and updates from the world of Bourbon , we invite you subscribe to our free Bourbon Newsletter here! 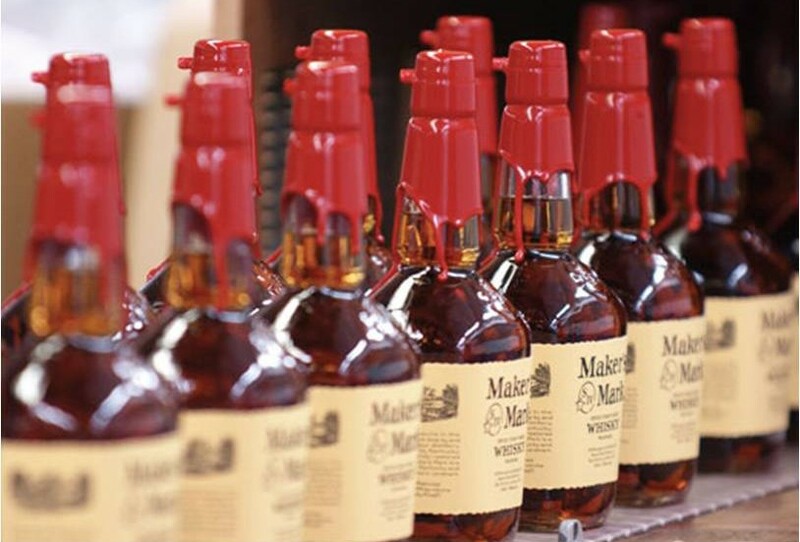 Lately we’ve been hearing from many of you that you’ve been having difficulty finding Maker’s Mark in your local stores. Fact is, demand for our bourbon is exceeding our ability to make it, which means we’re running very low on supply. We never imagined that the entire bourbon category would explode as it has over the past few years, nor that demand for Maker’s Mark would grow even faster. We wanted you to be the first to know that, after looking at all possible solutions, we’ve worked carefully to reduce the alcohol by volume (ABV) by just 3%. This will enable us to maintain the same taste profile and increase our limited supply so there is enough Maker’s Mark to go around, while we continue to expand the distillery and increase our production capacity. We have both tasted it extensively, and it’s completely consistent with the taste profile our founder/dad/grandfather, Bill Samuels, Sr., created nearly 60 years ago. We’ve also done extensive testing with Maker’s Mark drinkers, and they couldn’t tell a difference. Nothing about how we handcraft Maker’s Mark has changed, from the use of locally sourced soft red winter wheat as the flavor grain, to aging the whisky to taste in air-dried American white oak barrels, to rotating our barrels during maturation, to hand-dipping every bottle in our signature red wax. In other words, we’ve made sure we didn’t screw up your whisky. By the way, if you have any comments or questions, as always, we invite you to drop us a line at [email protected] or [email protected] Thanks for your support. And if you’ve got a little time on your hands, come down and see us at the distillery. I am a Maker’s Mark bourbon fan, and question the wisdom of the move to reduce the proof of the staple 80 proof bourbon whiskey. I did not read or see where you conducted a large sample, blind taste test among MM drinkers who are and will be the critics of your decision. What a shame…time will tell if the market will agree with your conclusion of there being “no difference in taste”. I sincerely hope this is only a short term decision until you are able to expand your production capacity. I can’t believe y’all would sell out to the masses & sacrifice taste & quality just so y’all can sell more. Well y’all can count me out as a MM customer, I’m very disappointed in MM & the Beam family for allowing this. I hope selling out helps y’all get more customers than y’all lose as I’m sure as taste, quality & proof drops more & more old timers will move to another Bourbon. The new small batch distillery’s allow for a much wider choice now & a loss for business on lower quality & taste. Good luck with the Sell Out!!! Quite happy to see that Maker’s Mark pays attention to the public and has reversed its decision to alter the formula in pursuit of profit. We yelled, they listened. Power to the people. Way to go everybody in speaking out regarding the proof change. Your voices were heard. Now if we could only speak out retroactively back to 1998 and demand Julian Van Winkle ramp up more production.